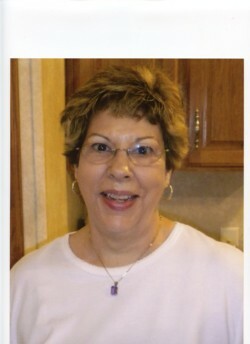 Wanda Jean Heagwood, 66, of West Helena, Arkansas passed away Monday, June 20, 2011 in Clarksdale, Mississippi. Mrs. Heagwood was born July 27, 1944 at Haynes, Arkansas to the late Madeline and Noel Nelson. She was employed as treasurer for the Helena/West Helena School District for 20 years and later transferred to the Barton/Lexa School District where she worked for an additional 17 years. She was a member of the Second Baptist Church in West Helena. Wanda is survived by her husband, Donald Heagwood of West Helena; three sons, Lee Heagwood (Susan) of Helena, Arkansas, Richie Heagwood (Marcine) of Crestview, Florida, and Jeff Heagwood (Naomi) of Helena; seven grandchildren, Tiffany Schaffhauser (Michael) of Jonesboro, Arkansas, Andrew Heagwood (Georgianna) of Norman, Oklahoma, Shana Heagwood and Tony Heagwood of Crestview, Florida, Abby Heagwood, Josh Heagwood and Jacob Heagwood all of Helena; two great-grandchildren, Chase Schaffhauser of Jonesboro, Arkansas and Caezon Heagwood of Norman, Oklahoma; two sisters, Julia Armes of Collierville, Tennessee and Rita King (Joe) of Helena; nieces and nephews, Amber Armes of Memphis, Tennessee, Will Armes (Cindy) of Pope, Mississippi, Jill Lawrence (Barry) of Helena, and Holly Whaley (Shain ) of West Helena. She was preceded in death by her parents and a brother, Bo Nelson. Graveside services for Wanda Jean Heagwood will be held at 10 a.m. Thursday, June 23, 2011 at Sunset Memorial Park in West Helena. Reverend Jim Harrison will officiate. Visitation will be held from 6-8 p.m. Wednesday, June 22, 2011 at Roller-Citizens Funeral Home, West Helena. Pallbearers are Shain Whaley, Barry Lawrence, Robert Cummings, Danny Newsom, Claude Lee, and Will Armes. Services will be directed by Roller-Citizens Funeral Home, West Helena (870) 572-2571.